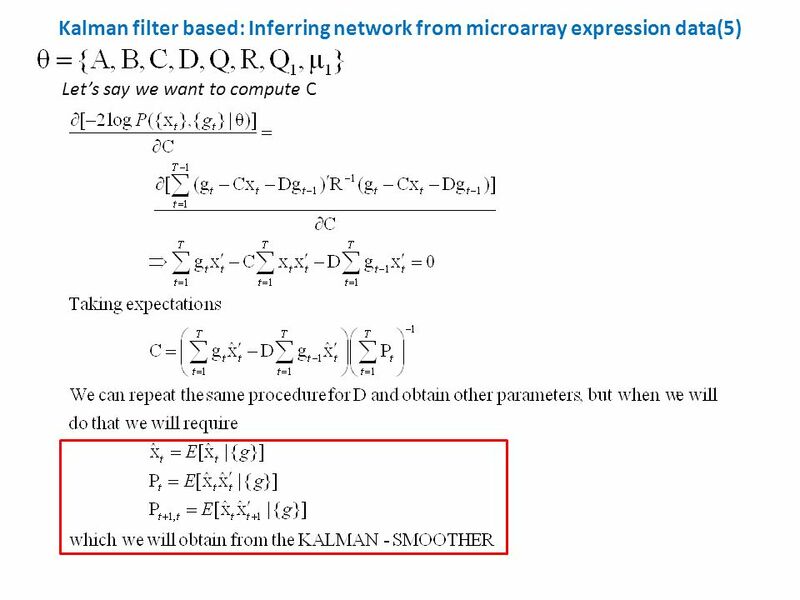 Network Inference Umer Zeeshan Ijaz 1. 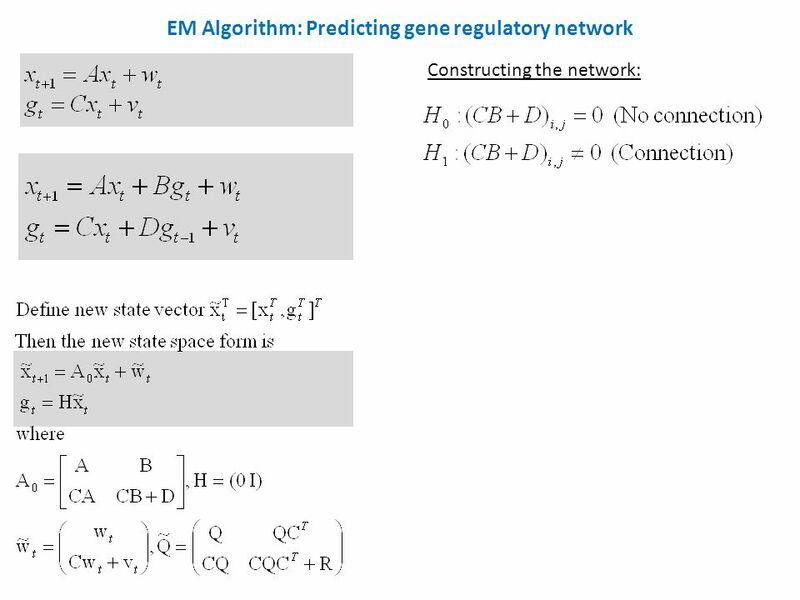 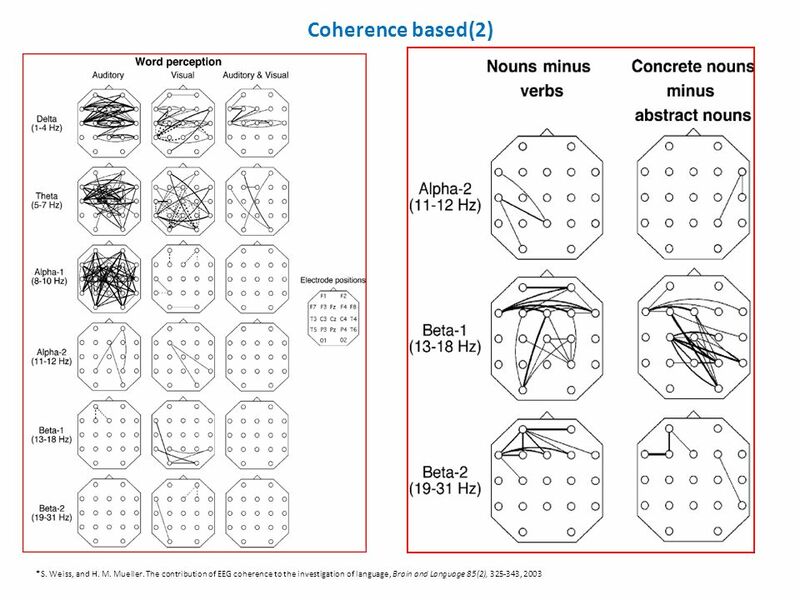 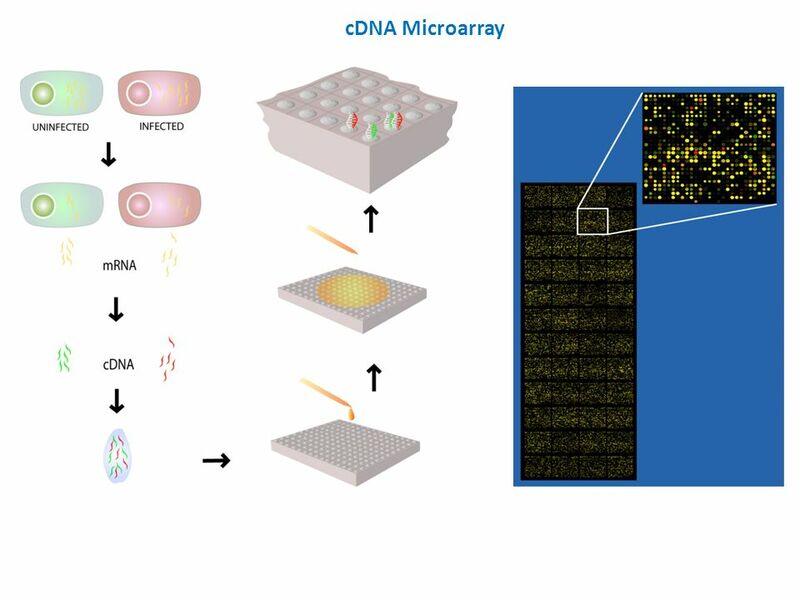 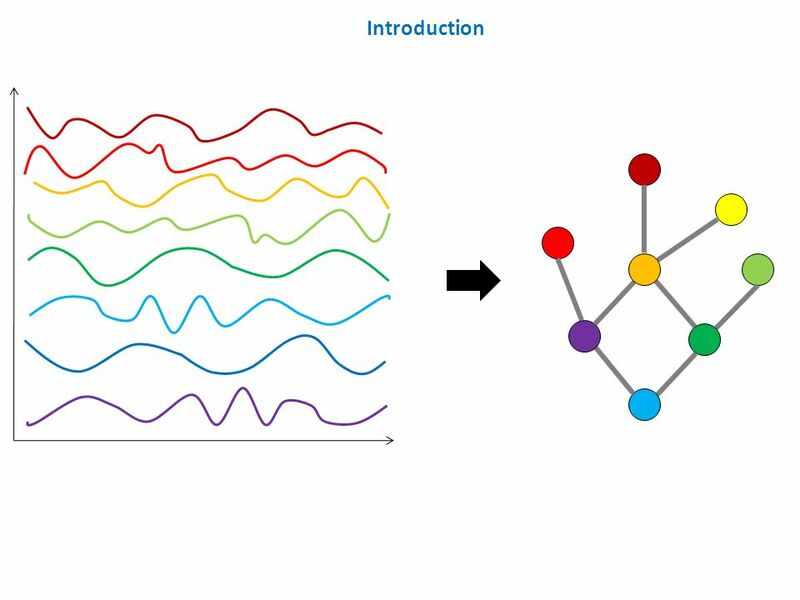 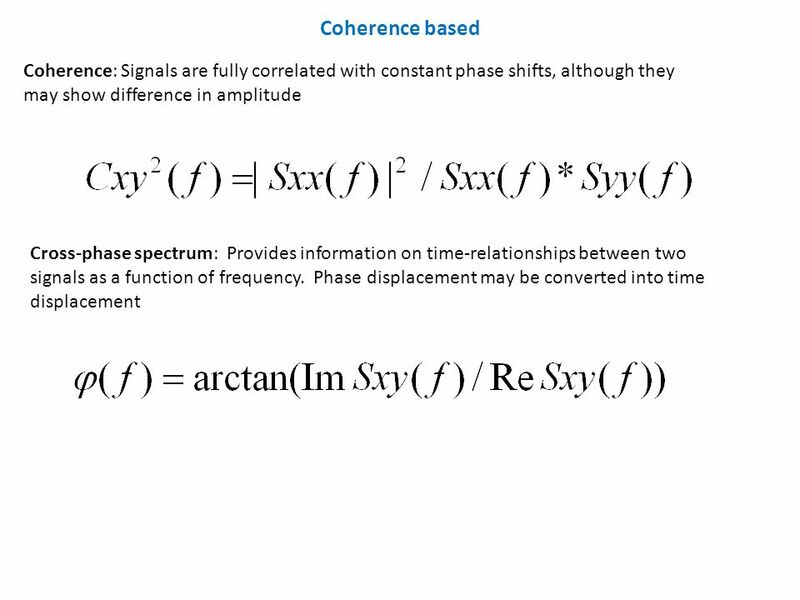 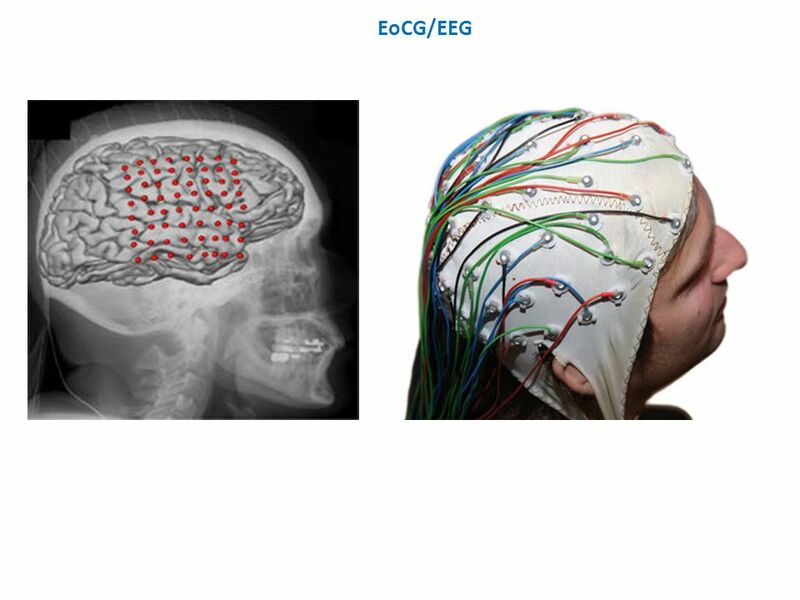 Overview Introduction Application Areas cDNA Microarray EEG/ECoG Network Inference Pair-wise Similarity Measures. 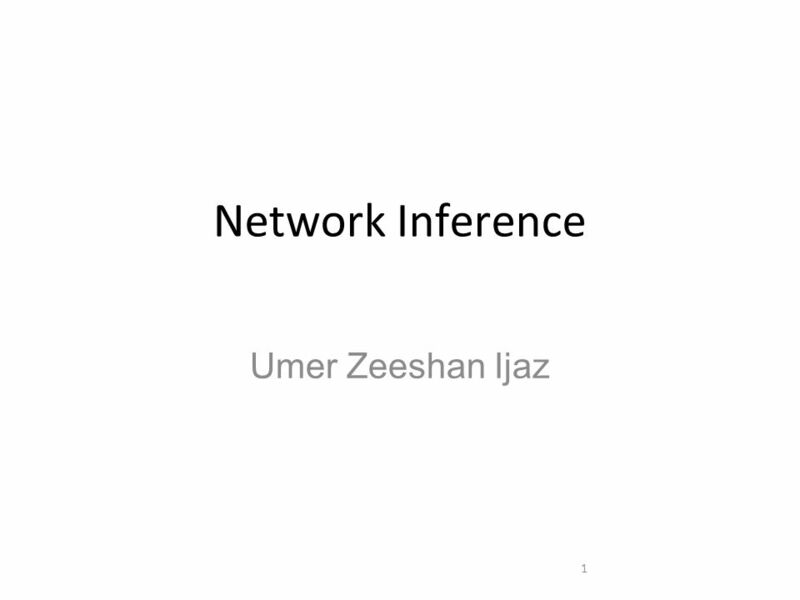 Download ppt "Network Inference Umer Zeeshan Ijaz 1. 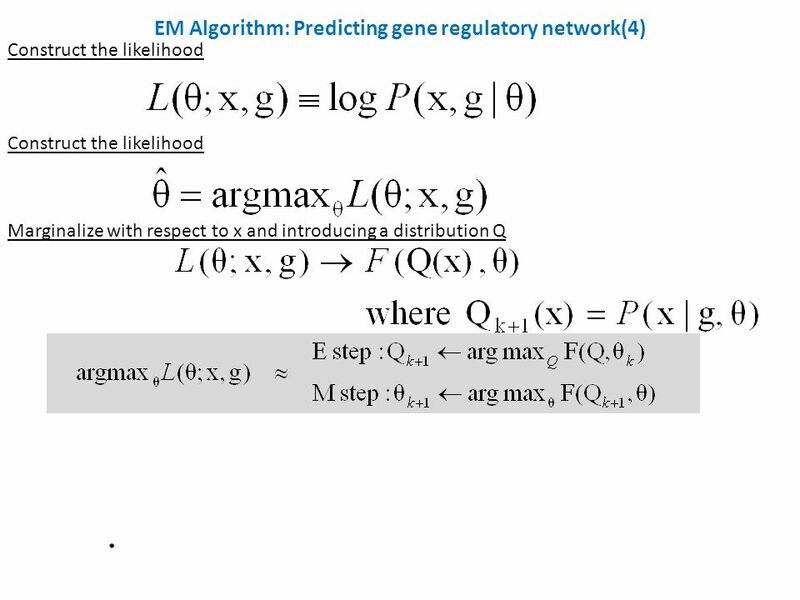 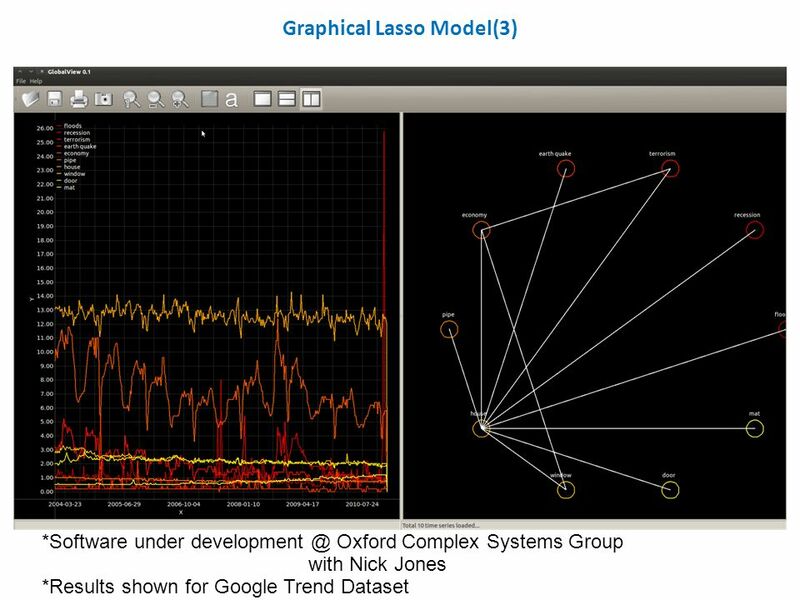 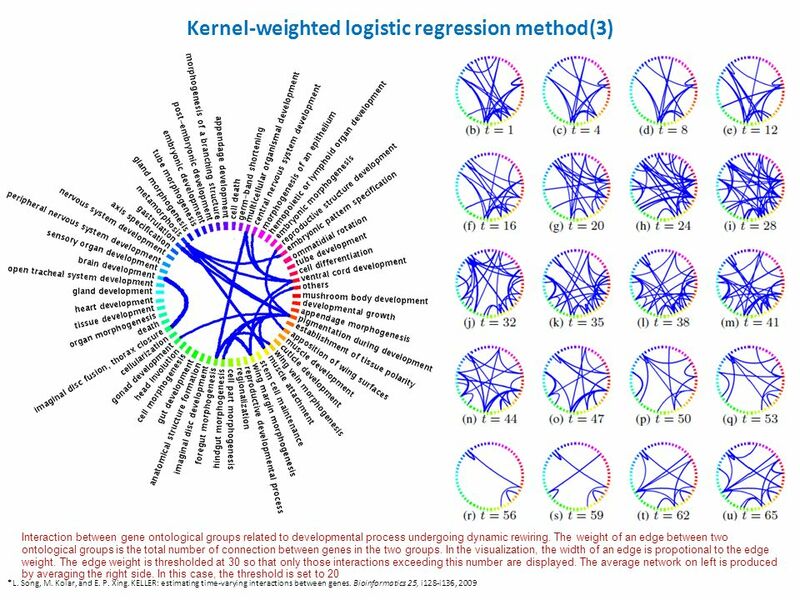 Overview Introduction Application Areas cDNA Microarray EEG/ECoG Network Inference Pair-wise Similarity Measures." 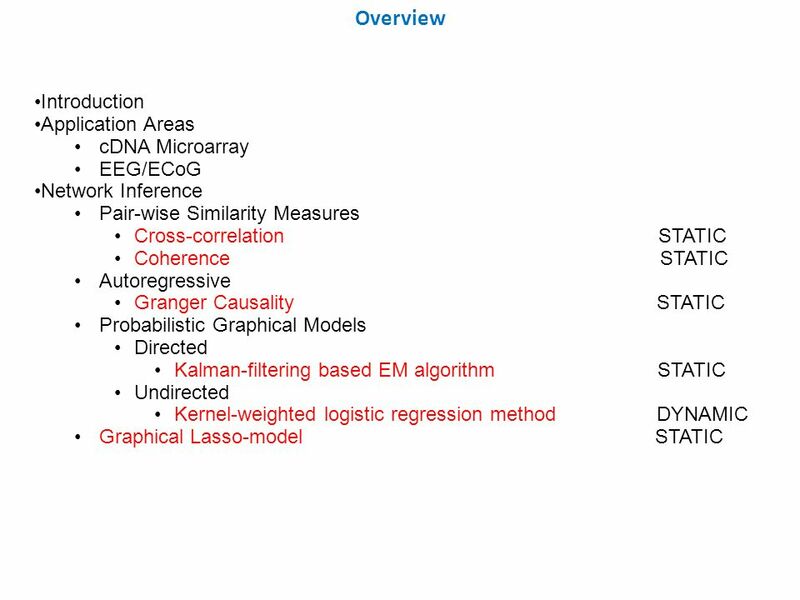 Modeling of Data. 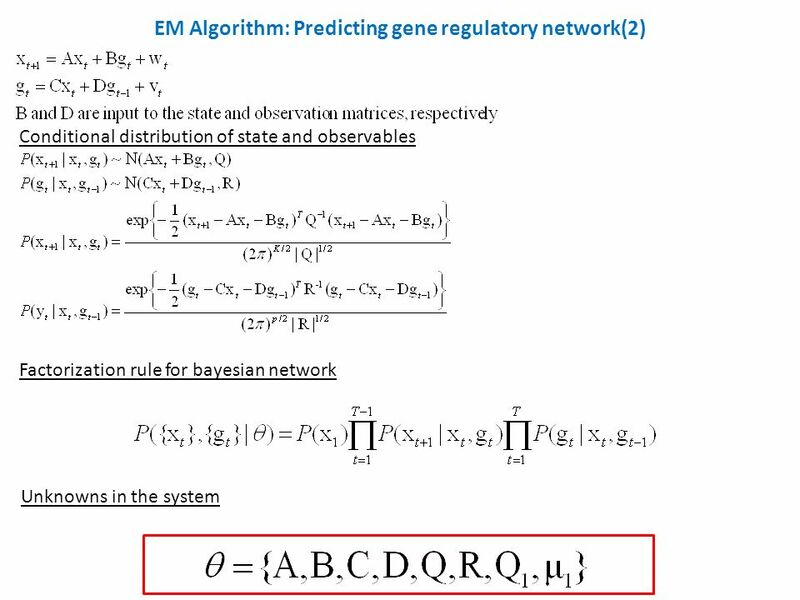 Basic Bayes theorem Bayes theorem relates the conditional probabilities of two events A, and B: A might be a hypothesis and B might. 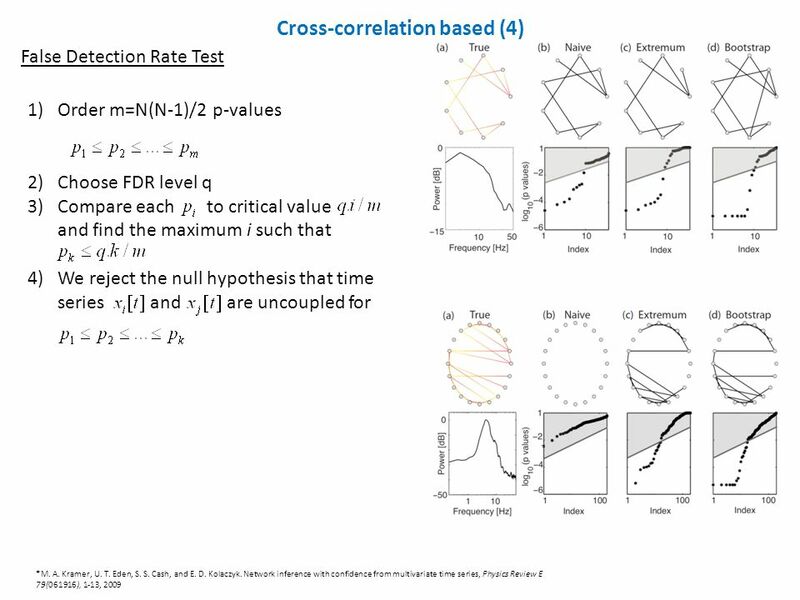 Environmental Data Analysis with MatLab Lecture 21: Interpolation. 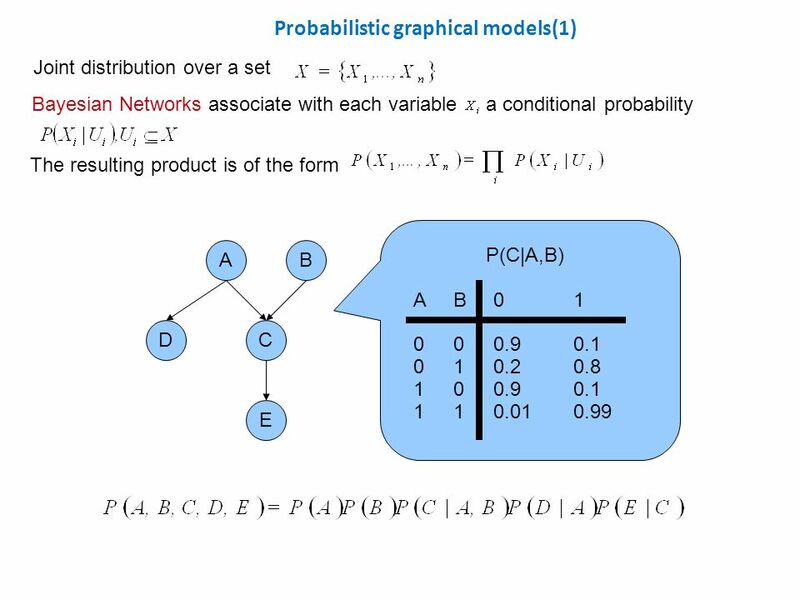 Graphical Models and Applications CNS/EE148 Instructors: M.Polito, P.Perona, R.McEliece TA: C. Fanti. 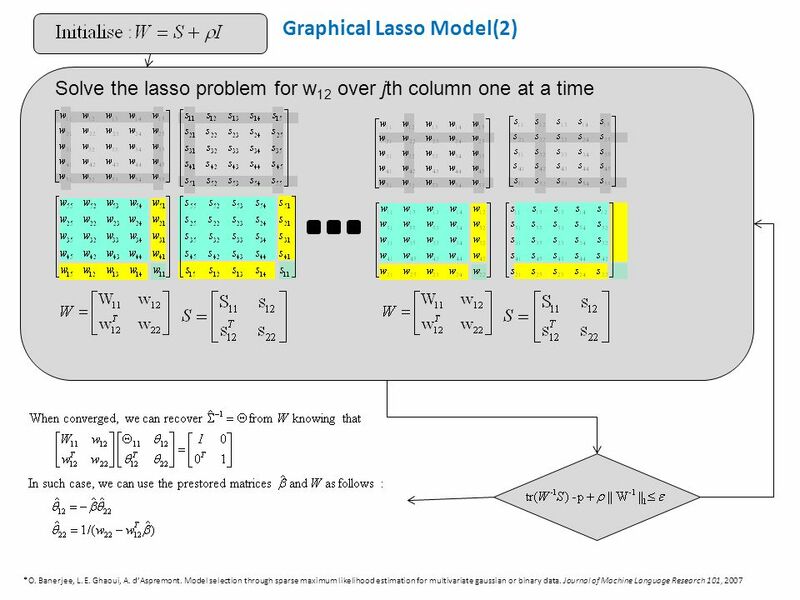 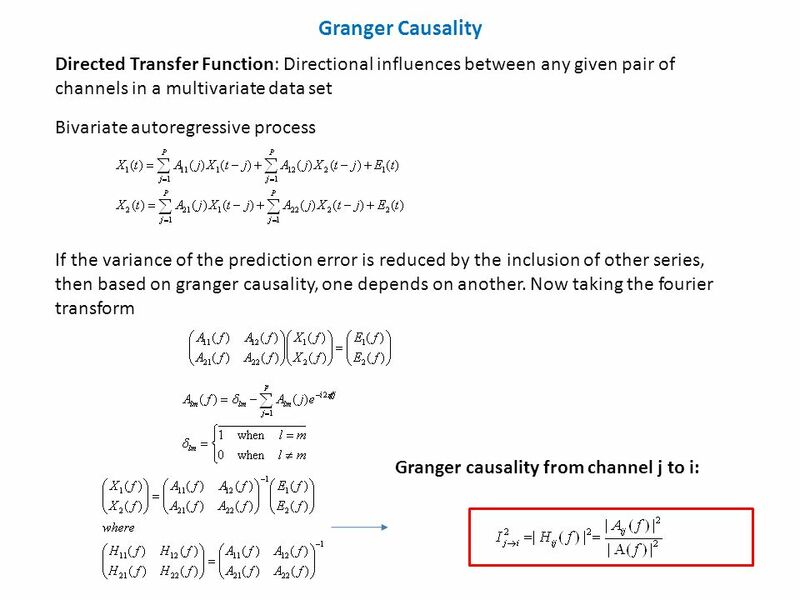 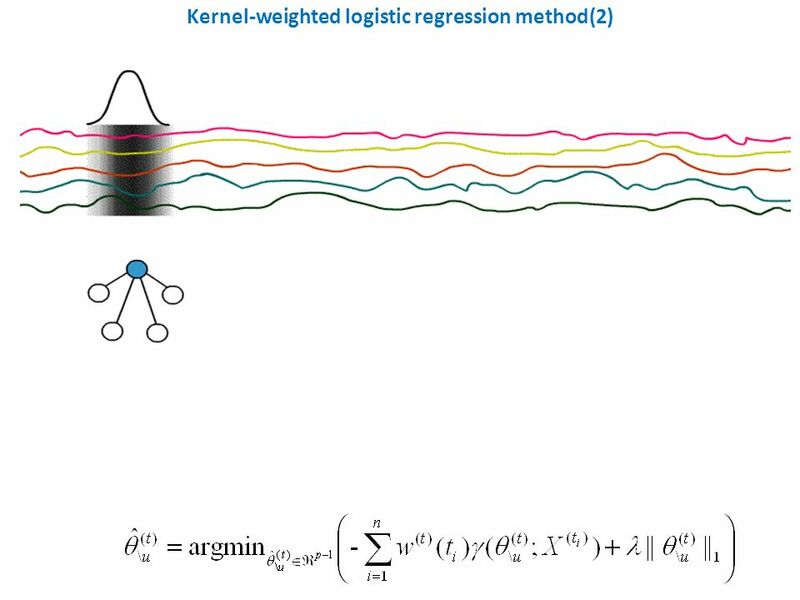 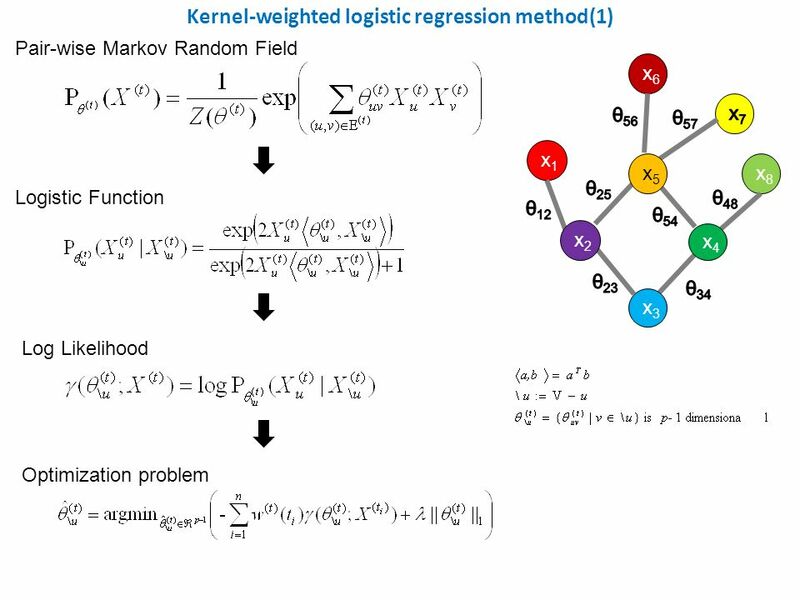 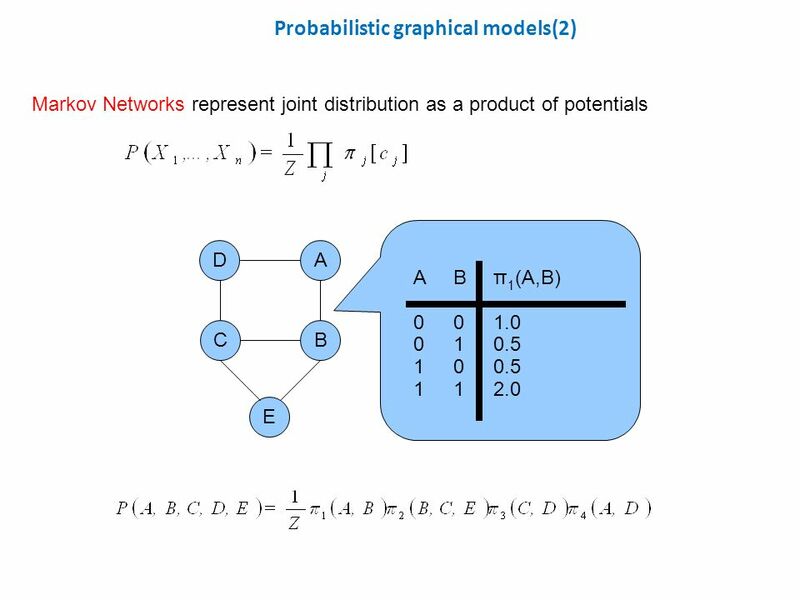 Probabilistic sequence modeling II: Markov chains Haixu Tang School of Informatics. 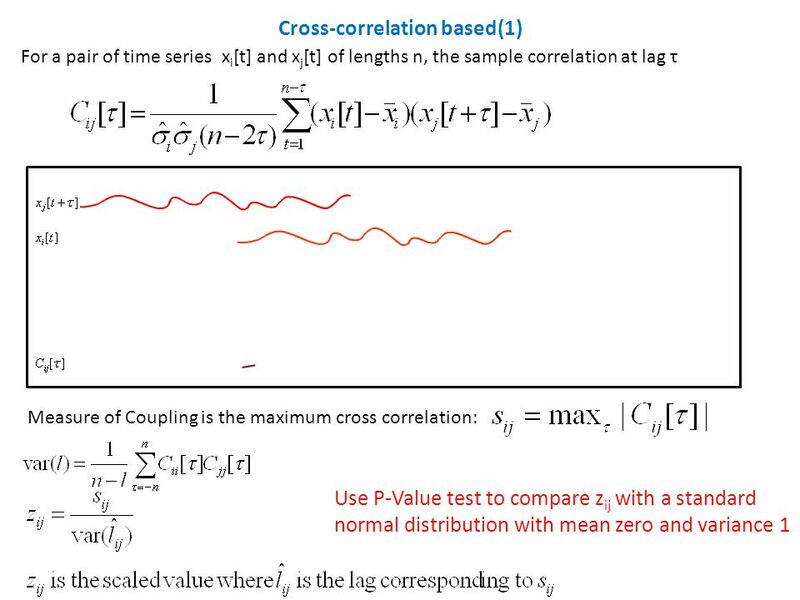 Computational Statistics. 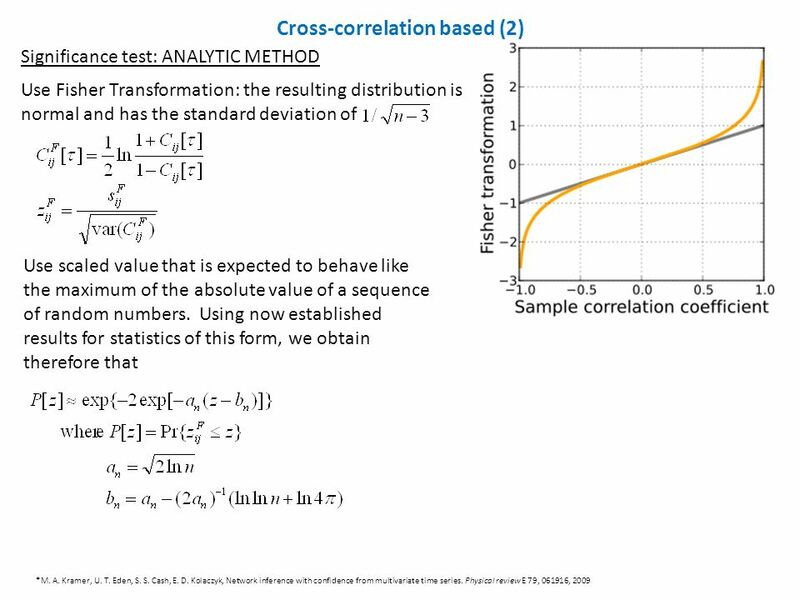 Basic ideas  Predict values that are hard to measure irl, by using co-variables (other properties from the same measurement. 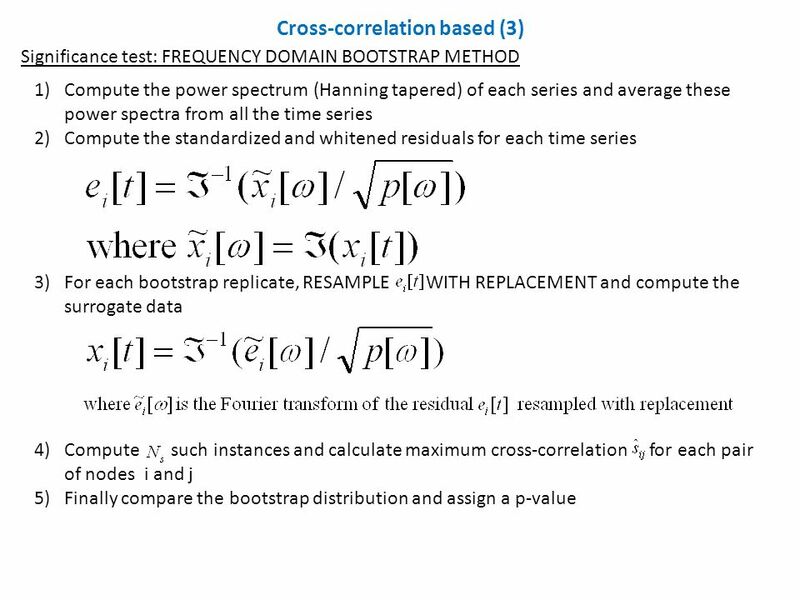 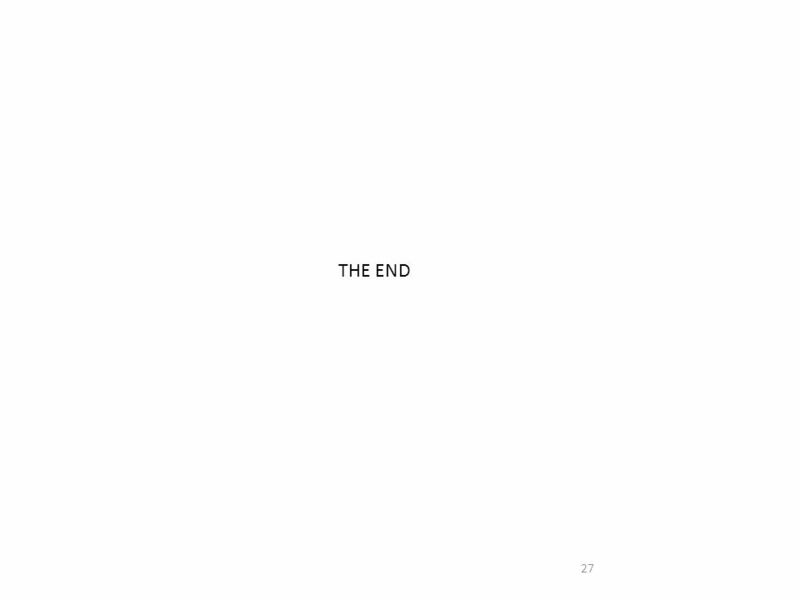 © Department of Statistics 2012 STATS 330 Lecture 32: Slide 1 Stats 330: Lecture 32. 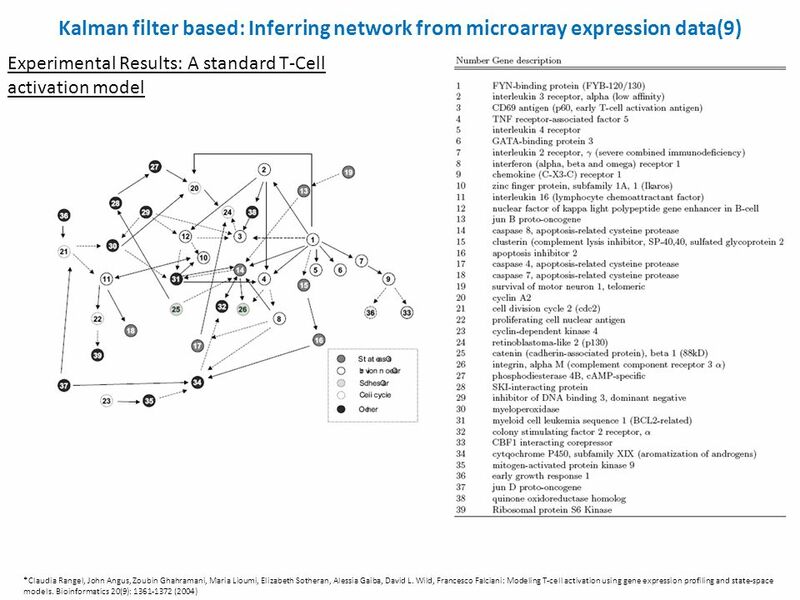 1 Parametric Empirical Bayes Methods for Microarrays 3/7/2011 Copyright © 2011 Dan Nettleton. 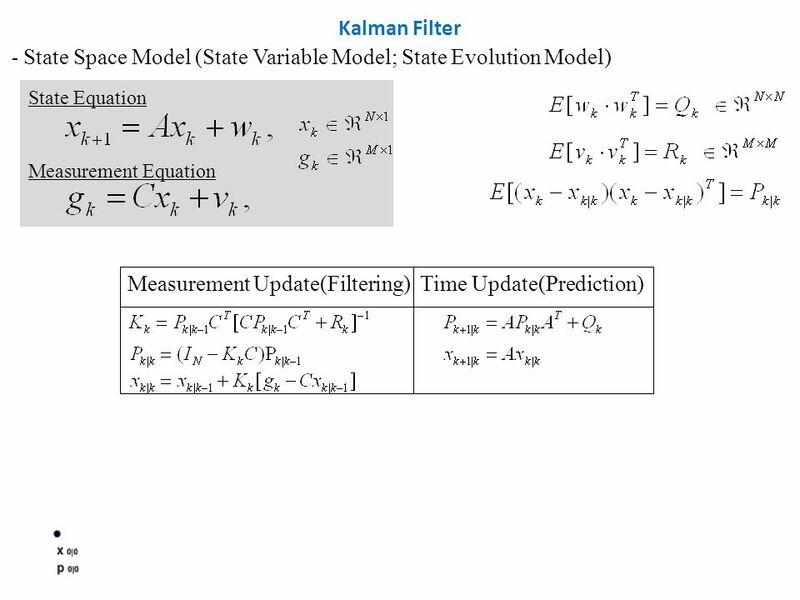 Computer vision: models, learning and inference Chapter 8 Regression. 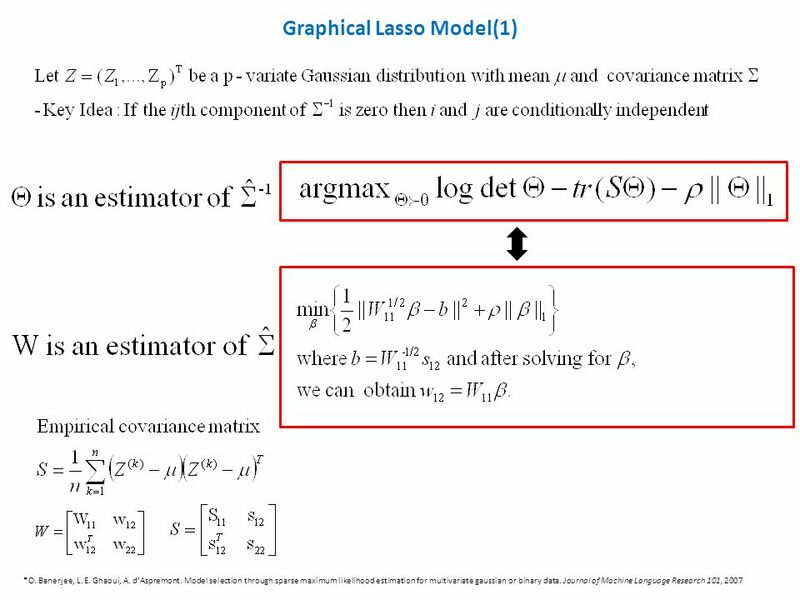 Chapter Outline EMPIRICAL MODELS 11-2 SIMPLE LINEAR REGRESSION 11-3 PROPERTIES OF THE LEAST SQUARES ESTIMATORS 11-4 SOME COMMENTS ON USES OF REGRESSION.